Wow. We are having a blast watching sports these days. Wesley and Skyler have enjoyed rooting on the Mizzou Tigers in the NCAA tourney this year and we have been watching some spring training baseball. Skyler likes to watch the English premier league with me and now that MLS has started we will be tuning in to see how our Wizards play out of the gate. Watching NCAA basketball with the Wes Man. What a fabulous 80’s degree day here in the Midwest. I had off work for Skyler’s spring break so… actually a sprint break. We headed down to the parade and met up later with Grandma Sharon on the Plaza for some bbq and a couple of pints. We were laying in the sun just chilling to some sweet tunes on the deck later in the afternoon. 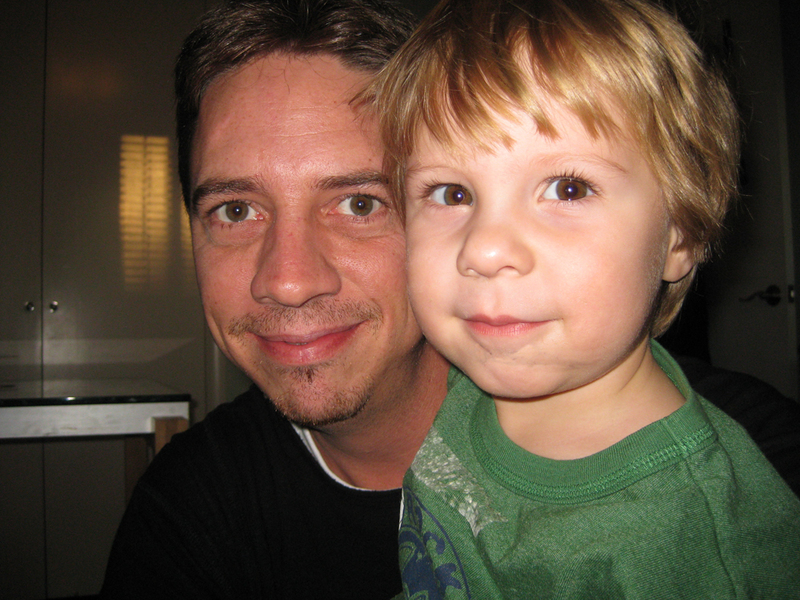 Top ten best days in 2009. 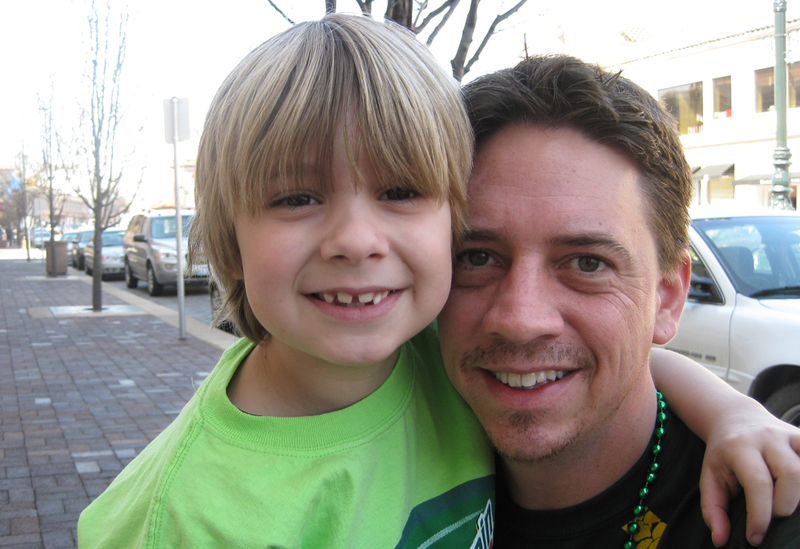 Skyler and I out on the plaza on St. Patricks Day. Had a great time hanging out with the boys tonight. We were having too much fun apparently… When it was time to go to bed everyone was pissed off that the fun had stopped and now it was bedtime. Just another school night, but I love these guys. 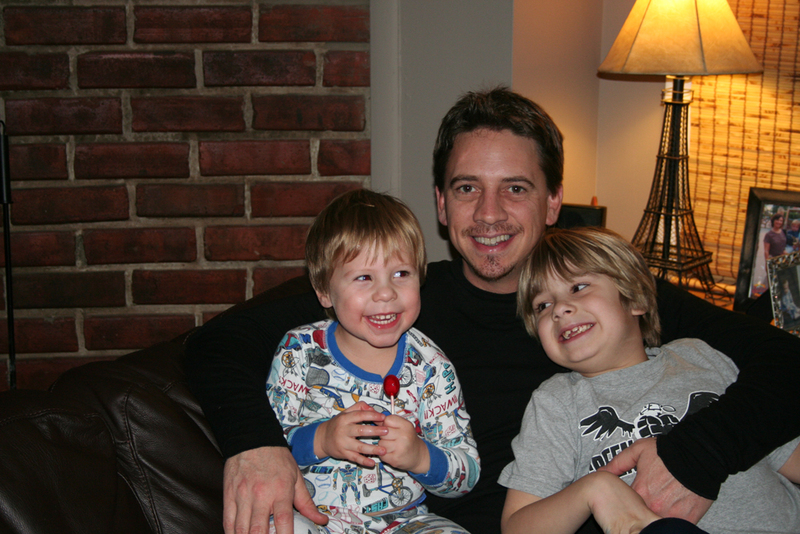 Todd, Skyler and Wesley hanging out at the cribb.